We have tried numerous food outlets on this dish and by far, this is one of the places that served food way below our expectations. 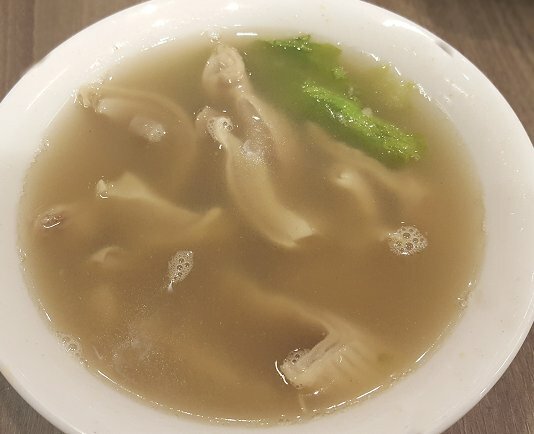 Pig Stomach Soup ( $6.00 ) - The soup was not even hot and there was no peppery taste. It also do not have any sweetness or flavour. In actual fact, it was a diluted version of the pork ribs soup. The pig stomach was hard to chew and tasted like rubber band. 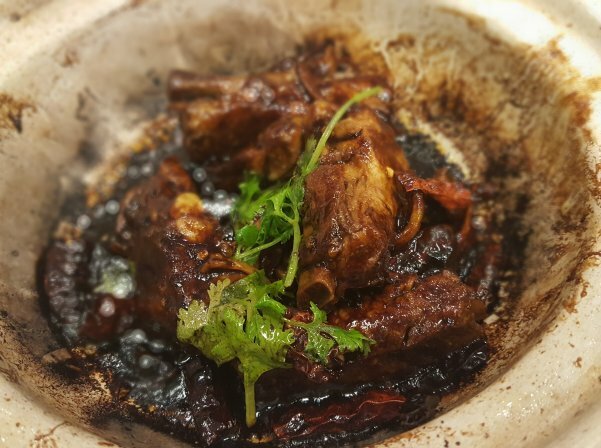 Dried Bak Kut Teh ( $12.00 ) - there was a burnt smell when the staff served this dish. As seen from the photo, there were hardly any meat on each pork rib. The texture was so hard that one of the ribs actually flew off from the plate as we were trying to figure out the meaty portion. 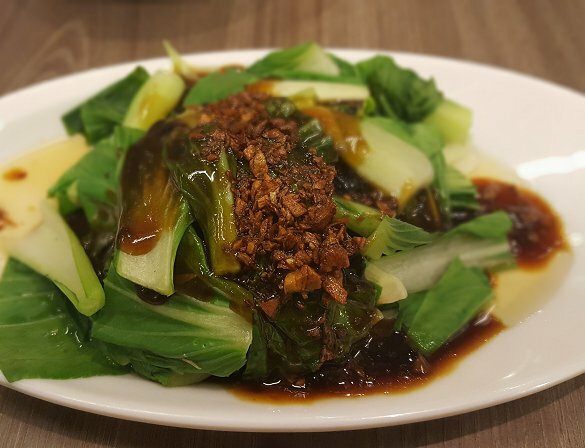 Baby Cabbage ( $6.00 ) - At least this dish is decent enough for us to eat with the white rice. We have left the place with the pig stomach soup and dried bak kut teh half eaten. In our honest opinion, it is not worth coming back to try the rest of their food items if they cannot even cook simple and basic dishes.